[COMPATIBILITY]: Fashion design, especially designed for Apple iPhone X. [ALL-ROUND DEFENCE]: 360° metal frame protection & Anti-drop & Shock-absorbing design. 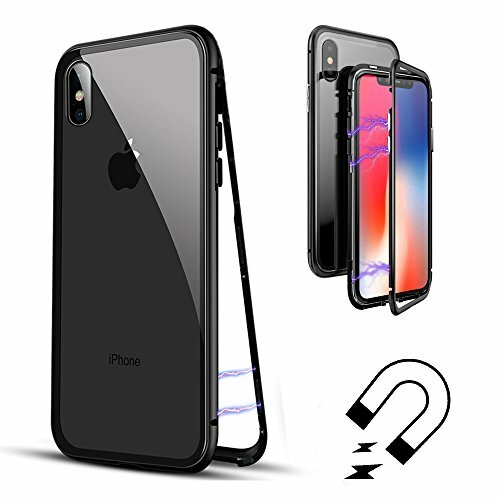 Raised bezels lift screen and camera off flat surfaces, toughend nanoglass back+ anodic oxidation aluminum frame, anti-scratch & anti-dirty, protect your phone from scratching, shock & smudge, premium materials offer unrivaled protection and enhanced durability. [PRACTICALITY]: Support wireless charging and will not affect the signal transmission. [WARRANTLY]: 100% Satisfaction Guarantee - We not only offer 30 days Return & Refund policy, MFEEL products come with 12 month hassle-free warranty and 24 hours customer service.